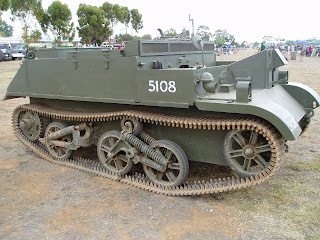 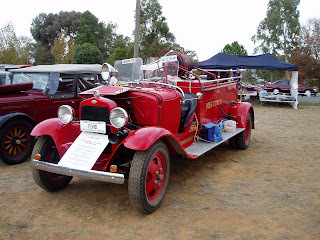 ANZAC day saw us at Lockington, a small village with a population of about 400. 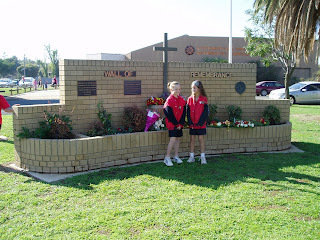 On arrival we were greeted by Des Pentreath at the Business Centre who gave us a tour of the interesting points in town including the Fountain, Locky-ness Monster and the Community Centre. 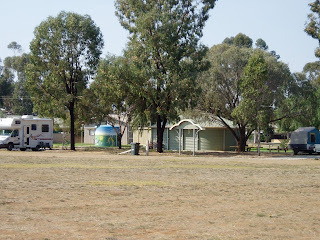 A new powered overnight rest area is in the centre of town and has spotless amenities. 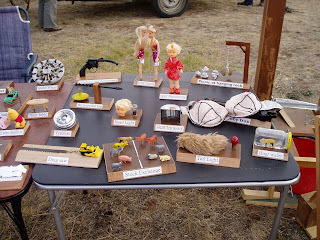 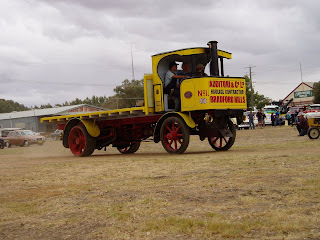 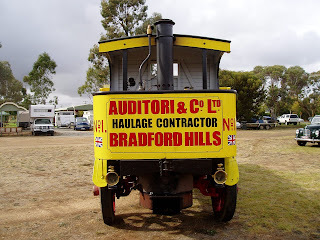 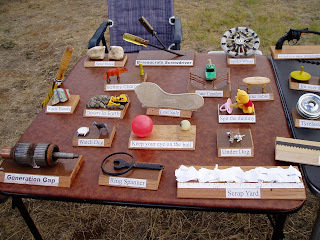 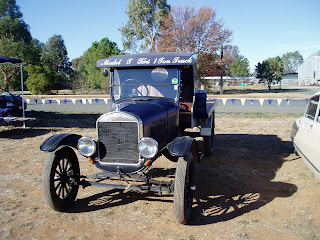 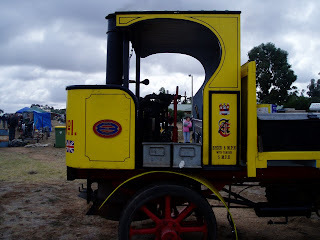 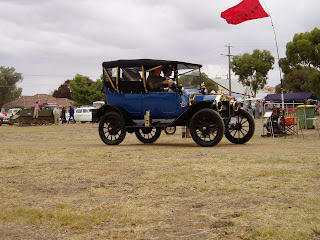 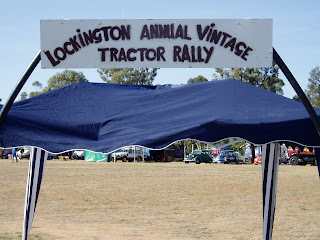 Lockington, on the weekend closest to ANZAC day, is the venue for the annual Vintage Tractor Rally and visitors from far and wide bring their “Boy’s Toys” to provide an entertaining weekend. 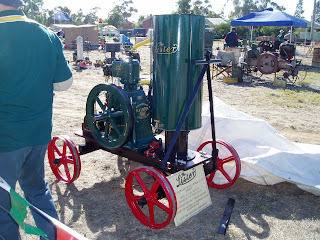 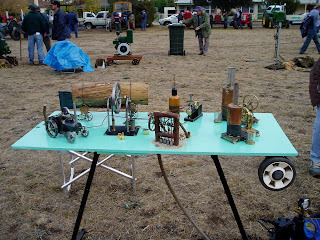 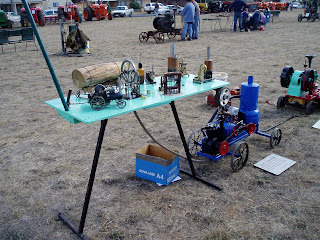 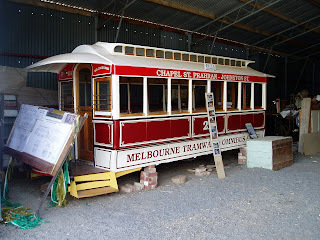 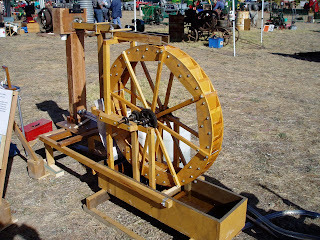 Two of the exhibits were fascinating with Ken Hall’s water wheel, made from huon pine and is built on the same design as the water wheel at Upper Yarra Reservoir Park and Wal and Ellie Wilcocks’ miniature setup powered by a Blue Stratton Poormans Girder Engine. 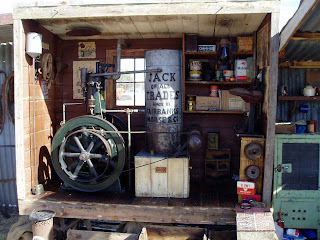 If in the district, call in and say G’day to Des and enjoy his hospitality.